The above was another attempt to experiment with a figure on masa. I am discovering that this surface is adaptable to any subject matter. I painted a Westhighland Cow here, a cat here, and a tiger here. 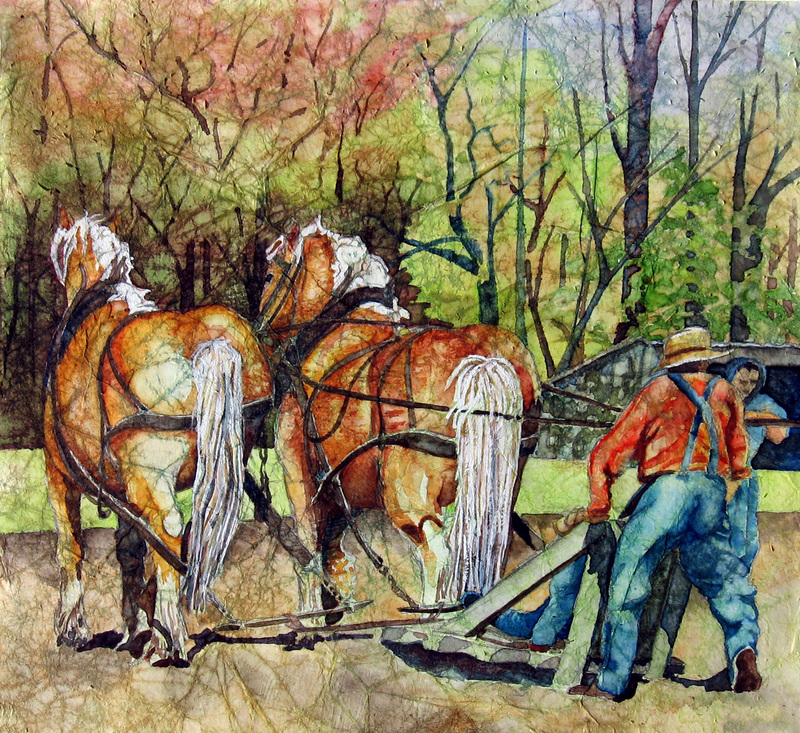 I had several challenges with this particular piece due to the colors of the stained background starting out. I was using oranges, burnt sienna, prussian blue, aureolin and sepia to render her form. She was appearing more and more colorless as my painting progressed. I then remembered something Don Andrews taught in a workshop I took. He said the midtone colors were the brightest and what brought “color” to a watercolor painting. The only midtones I had used were neutrals that tend to appear flat and lifeless. As soon as I began to use fire engine red in the coat of this orangutan, the color popped forward. The photo reference for this came from the wet canvas library and the background was made up of some insignificant zoo shapes. 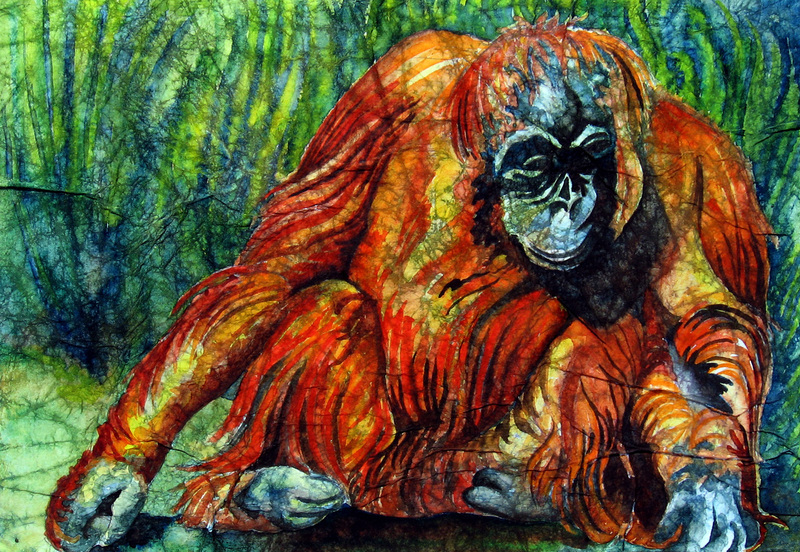 I decided to complement the oranges and reds with a green and blue background and repeated the stringy shapes of the orangutan’s hair in the grasses behind her. Information about the orangutan can be found here. This week I returned to working on Masa paper. I believe it is my favorite way to watercolor. The crinkles seem to add that extra something to the way I paint. For a tutorial to learn how to prepare your masa paper’s surface for painting click here and here. The reference photo for the above painting was from the Wet Canvas Library. I really don’t know what this farmer is doing. That is the strangest plow I’ve ever seen. It appears to have a straight blade on either side of that wooden platform the boy is sitting on. I am wondering if it is something that just makes the furrows for a garden and that is why the woman is motioning what she wants the farmer to do? Maybe someone viewing this could give me a tip as to what that piece of equipment is.